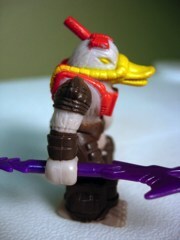 Other: Japanese name "Duck Diver"
Diving Duckbill was one of the reasons I went after this set, because I like all good kids was nuts for Australian wildlife and also, like modern kids, nuts about penguins. 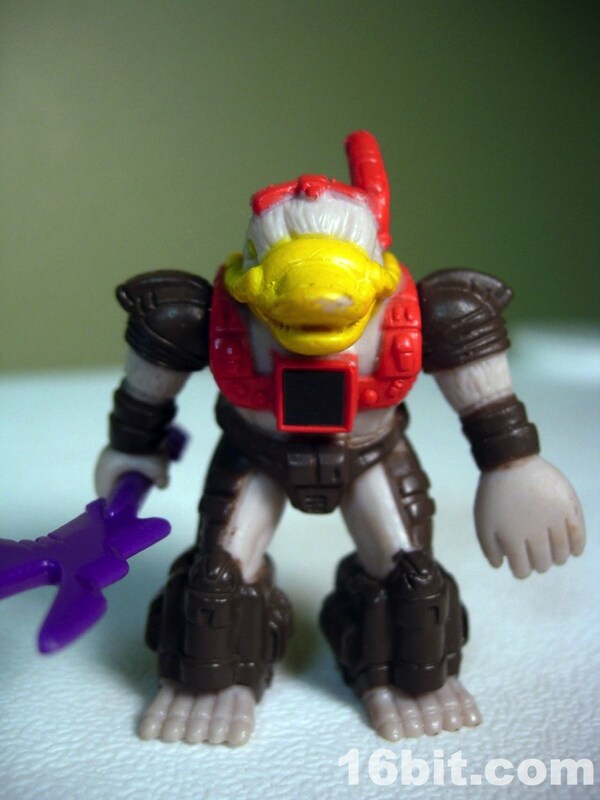 This platypus was given the name of "Duck Diver" in Japan, which makes a lot of sense given they gave him a snorkel... which makes no sense to me. The platypus can swim, so I can't say I'm entirely sure why he needs what seems to be a teeny-tiny SCUBA tank on his back. 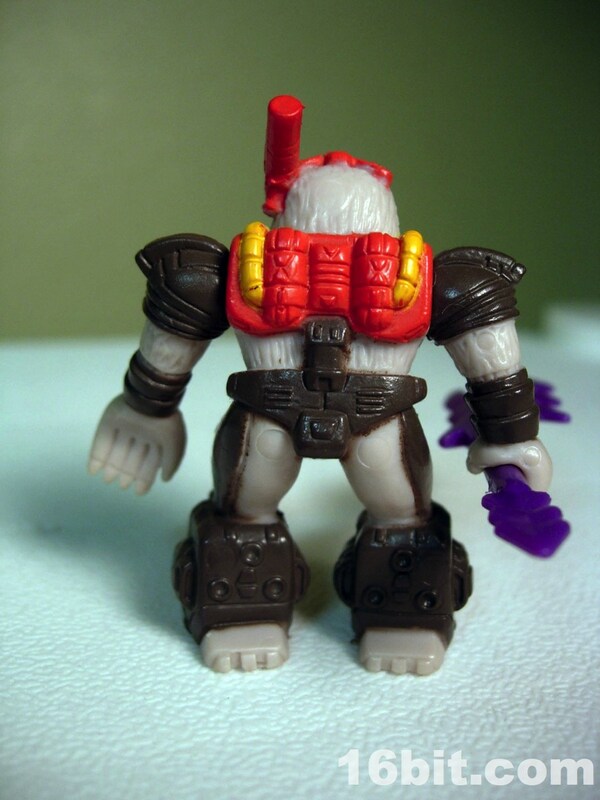 Of course, I'm not entirely sure but it looks like there are rockets on his shins, which is a heck of a nice sculpted detail rather than the typical fins or little boxes you see on these figures. The gear seems to serve more of a purpose, which is great. The weapon is a sort of a spear, or maybe a can opener, or perhaps a nod to the real-life poison barbs on the webbed feet of a platypus. 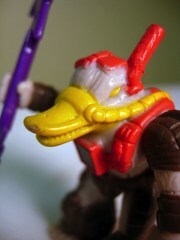 I can't say I'm sure, nor am I sure why he has a yellow duck bill when the real deal has one that's much darker. I loved the wacky colors as a kid, and I can still appreciate them today-- but I can also see that the vast majority of the toys in this line could be easily rerelased in "realistic" colors. Purple elephants? Bright yellow camels? Were it not for the line's seeming crippling obscurity leading up to the recent batch of new Minimates and Diamond Select's new announcement, I'd say it's a wonder they didn't just reissue them as repainted capsule toys in the early 2000s. 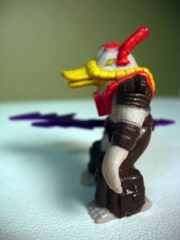 The 2-inch figure was one of very few which didn't incorporate its animal inspiration's name as a part of the action figure's name. 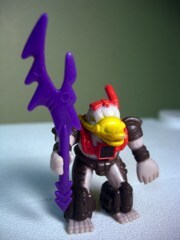 This figure was one of the last to see widespread distribution in the USA in decent numbers. These were durable plastic guys with strong gripping hands, so you could have him hold his weapon and smack around other figures with it. The funny thing is this was more common in the 1980s than it was in the 1990s and beyond-- you can't expect most Star Wars or G.I. Joe figures to stand or hold their guns these days, as they would either drop the weapon or the lightsaber would just snap. While Diving Duckbill can only hold his might weapon in his right hand, it's worth noting his left hand is outstretched for swimming plus he sports sculpted fingers and tiny claws. 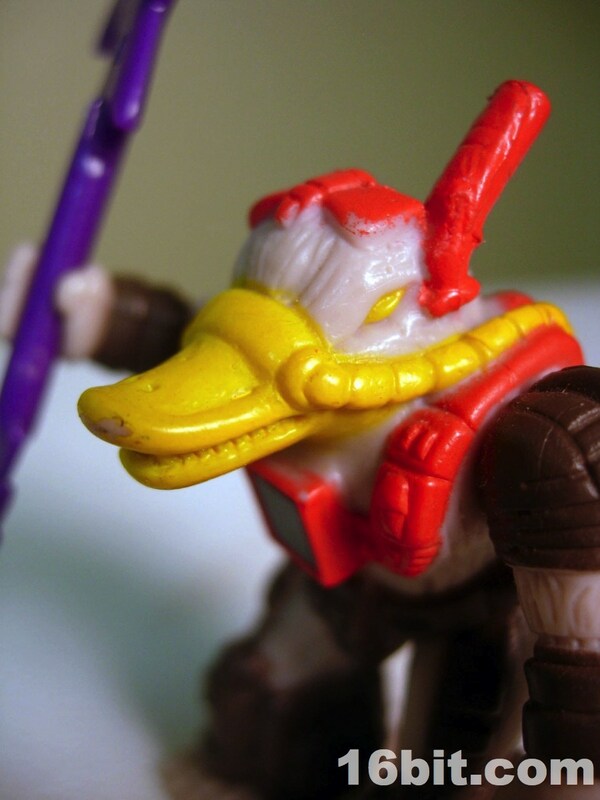 Off the top of my head, I can't remember any other 1980s or 1990s platypus action figures, or aside from stuff at the zoo, other platypus toys. Combining animals with violence worked well for me as a kid, I just wish it continued a little longer.